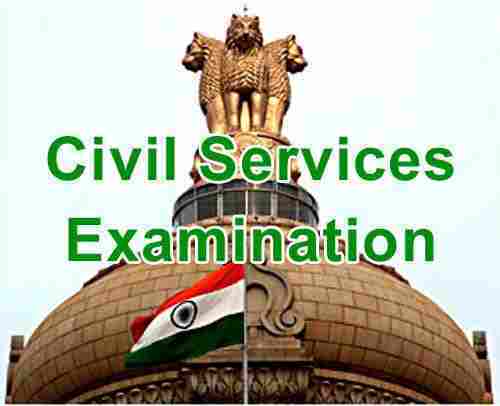 Any aspirant of the civil services examination knows about the countless doubts and myths that accompany the many ‘sincere’ advises of people around. It is important to dispel the myths and take on the tough journey with confidence. Time to confront these with corresponding realities. Myth: Many people said that there are too much political interference in the IAS and the IPS. Reality: The decisions taken by IAS and IPS officers have immense impact on the common man. Any position that promises authority is bound to exercise some control as well. The more important the position, greater the control will be. However, most of us tend to believe that private sector offers a great degree of independence, which again is not true. The top positions in the private sector are also subject to control or interference in some form or the other. Myth:Students who have excellent academic record can only crack civil services examination. Reality: Intelligence is subjective. Can we call a student intelligent if he has consistently secured first division? Or can a student who scores 100 per cent in mathematics or physics in Class X be tagged as ‘intelligent’? A survey conducted a few years back revealed that most of the successful candidates in civil services examination had secured only a second division in graduation, which led us to believe that a high academic score is a definite asset, but a second or third division is definitely not an impediment to attain success. Myth: Some optionals have better prospects at the preliminary level. Reality: Candidates have 23 optionals to choose from and each of them offers equal chances of success. UPSC follows the proportionate method of representation, which weigh every optional proportionally. Myth: Every optional has a ‘cut-off’ mark. Hence, it is better to choose one with a low cut-off. Reality: What do we understand by cut-off? Out of the 10,000 qualified candidates, marks scored by the last candidate mark the ‘cut-off.’ Thus, candidates who score more than the cut-off will qualify and those who don’t will not. In a competitive examination, a cut-off score changes from year to year and there is no qualifying score. Myth: Questions asked in optional ‘X’ are difficult and perplexing. Hence, it is better to choose optional ‘Y’. Reality: In a competitive exam, if the questions are difficult every aspirant will score less and automatically the cut-off marks will be low. Myth: The general studies paper accounts for only 150 marks, on the other hand the optional paper is of 300 marks. Therefore general studies calls for more attention. Reality: While it is true that more attention needs to be given to optional, preparation for general studies should not be neglected as well. Remember, every mark counts and a single mark determines success or failure. Reality: There is no rule of thumb that the same optional needs to be chosen both for prelims and mains exam, but it is advisable to stick to one subject. If different options are taken, it would lead to tragic waste of time. Myth: When the same optional is picked up both for prelims and the mains exam, then it is not required to prepare separately for the preliminary examination. Preparation for the mains is sufficient. Reality: The preliminary calls for a micro approach, whereas the mains require a broad perspective. Hence, even though 90 per cent of the preliminary syllabus is included in the mains, different methods of preparation are required. Reality: Successful candidates in CSE examination state that it is not the number of hours that is important, but the work that you put in those hours. We all have a span of attention and the preparation should be tailored accordingly. However, tall claims are made about 16 hours of extensive study, but weather it is humanly possible or not is still debatable. Myth: Nobody can be sure of success in prelims until the results are announced, so it is better to set about preparation for the mains only after the prelims. Reality: Like any other competitive exams, civil services examination also has a ‘chance’ factor. However, through a well-directed effort, an element of chance can be cut-down to a large extent. Preparation in the right direction steps up your chances of success in the examination to 90 per cent. However, mains exam is conducted three months after the declaration of prelims result. So, 90 days is ‘just not’ sufficient to prepare for two optional, an essay and a general studies paper.